Custom made to measure and accurately installed. A range of contemporary frameless mirror styles to enhance any room in the house. Our mirrors come in a range of styles with a number of optional add ons. We offer custom and common shapes with smooth polished borders, beveled edges and frosted or painted borders. Mirrors can be fit to the wall with domes, glued or on a stand-off mount (with the option of LED backlighting). Mirror demisters can also be installed. If you have sizes on hand give us a call, email us your plans or visit the showroom. Alternatively you can arrange a no obligation on site measure and quote with one of our experts. We will happily tend to your enquiries and get you accurate job quotations. A simple made to measure solution to fit perfectly in the bathroom, gym or living area. The most common and cost effective mirror style. Our standard frameless rectangular mirrors come with a small chamfered edge. The edgework is simple, tidy and the most discrete finish available. Our mirrors are made from 5mm thick high quality Saint Gobain mirror. Available in standard silver mirror, bronze or grey tint. Optional extras include wall mounts and mirror demisters. Contact us for more information. Our mirrors are made to custom specification or to template, so can be made into geometric shapes such as hexagons, ovals and circles. Increasingly popular, shaped mirrors showcase a modern homestyle flair. Send us your diagram or we can visit you on site to make a template. Our back mounted stand off mirrors can be enhanced with a pre-installed LED light (requires pre-wiring setup by your electrician). We run a strip light around a rectangular or circlular mount, depending on the shape of the mirror. This ensures an even border of light. Alongside looking great, a back-lit mirror casts a soft additional light to your face. A little benefit for applying makeup or shaving. Bevelled mirrors are essentially rectangular or shaped mirrors with a slight gradiant cut into the edges of the glass forming a beveled frame and creating a stylish, elegant border around your mirror. The bevelled border can be made to a range of custom widths, most commonly between 15 - 25mm from the edge of the glass. Sandblasted mirrors with intelligent lighting can create a dramatic bathroom feature. Haynes mirrors can be sandblasted to have a neat matte 'frosted' edge around your mirror. The sandblast border can be made to a range of different widths and patterns. It is also possible to have sandblasted shapes within the mirror. Sandblasted borders and internally sandblasted shapes can be used in conjunction with led lighting for a dramatic, modern appearance. Contact us for more information on 'frosted lighting'. * Estimated lead time based on mirror type and processing required. Contact us for either a quote over the phone, a quote via email (provide us with the dimensions or send plans), or arrange to meet a consultant on site. If you have a number of technical questions it is highly advised to meet with a consultant. On acceptance of a quote we will conduct a final measure. Mirrors are then cut to the accurate measurements, edges either smooth polished, beveled or sandblasted and if required a mirror mount is attached (led optional). Our glazier will then call you to arrange a time for installation. Each mirror typically takes between 30mins to an hour to install. How long does it take to have a new mirror installed? For standard flat polished edge mirrors the process takes 3-5 days (for installation) and 3 days for supply only. Bevelled, sandblasted and back-lit mirrors take 7-10 working days. How are the mirrors attached to the wall? Haynes installers can either glue the mirrors straight to the wall, attach them with holes and screws covered by chrome domes or on stand off clips (gives the mirror a floating appearance). Just let us know your preference when enquiring. 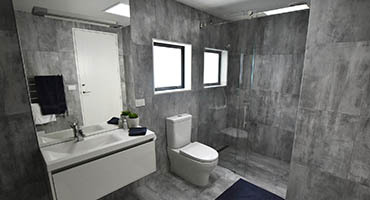 If you are installing the mirrors yourself, we can sell you the correct tools and provide installation advice. Our residential mirrors can be made up to 3.5 x 2.5 metres, but keep in mind that the mirror needs to be able to safely fit inside doorways or up stairs. Can you relocate an existing mirror? We can take down mirrors (provided they arent glue fixed to the wall) cut them down and neatly polish the edges. It is 'all care no responsibily' but we have a good success rate with the process. Alternatively, just bring the mirror in and we will cut it down and polish the edges for you (usually takes under 30 mins for one mirror and one edge cut). 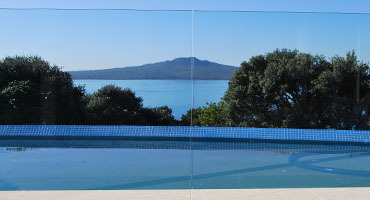 Yes, we make mirrors available to collect from our showroom or can deliver to your Auckland address. We provide a 5 year warranty on glass and a 10 year guarantee on workmanship. Your company has been fantastic to deal with. Super quick and responsive on times / measurements / quotes / communications. Really impressed. Thanks.